that is available at Amazon Books. ThoughtCo. is an About.com brand and part of the IAC family of websites. GUEST BLOG / Analysis compiled by Catherine Sustana, Thought Co.--There are certain authors who manage to put into words the nearly unspeakable experience of war. Ambrose Bierce is well known for his short stories of the American Civil War, particularly "An Occurrence at Owl Creek Bridge." With stories like "The Things They Carried" and "How to Tell a True War Story," Tim O'Brien became the voice of soldiers who had served in Vietnam, and his stories are widely anthologized. The lengthy war in Iraq has already spawned bountiful memoirs, poems, and short stories. So far, many of the stories seem to focus on soldiers' difficulty coming home and readjusting to life in the U.S. Others focus on the challenges families face when their fathers, mothers, husbands, and wives are deployed. The United States withdrew its military personnel from Iraq by the end of 2011. It is hard to say which stories and authors will come to definitively represent the Iraq war in years to come, but the three exceptional contemporary war stories here are certainly some of the finest. "We shot dogs. Not by accident. We did it on purpose, and we called it 'Operation Scooby.' I'm a dog person, so I thought about that a lot." Throughout the story, the narrator struggles to reconcile his actions in Iraq with his life back the U.S., where he comes home to his own beloved but severely aged dog. When I first read the title of the story, I thought I understood what it would be about. But "Redeployment" is far more complex than I had anticipated. Its elegant bluntness will leave you pondering for a long time. 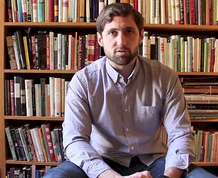 Phil Klay is a former marine who served as a Public Affairs Officer in Iraq from January 2007 to February 2008. He received his MFA from Hunter College. "Redeployment" was originally published in Granta magazine, where the full text is available online to subscribers. The story is also included in an anthology called Fire and Forget: Short Stories from the Long War. But the best bet might be to read "Redeployment" in Klay's collection by the same name, which won the prestigious 2014 National Book Award in fiction. 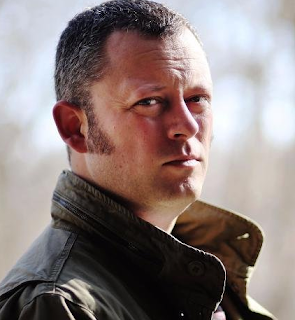 Like "Redeployment," "New Me" is a story about coming home. The narrator, struggling to overcome a brain injury, enters civilian life passively, with the people around him struggling to prop him up in a "normal" life. To get him a job, his girlfriend has been telling everyone they're engaged, which effectively makes them engaged. The narrator's new boss has clearly created a fake job for him motivated by some combination of pity and respect. Soon the girlfriend is planning the wedding and their future children. "The Arby's front window was spider-webbed with bullet holes. A shopping cart from Sears sat by the entrance, filled with artillery shells and sweaters with a wire running up to the ceiling. There were mannequins at the registers wearing Arby's uniforms and suicide vests. It smelled like someone was cooking fries." The surreal incongruity of sweaters and artillery shells -- of Belk's and the Tigris River -- may be the closest that a civilian like me will ever come to understanding the experience that soldiers must have when coming home. That alone makes the story worth reading. 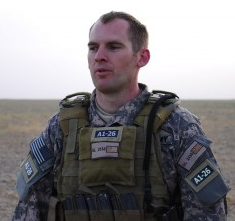 Andrew Slater was an infantry and Special Forces officer in the U.S. Army from 2000 - 2010. He deployed twice to Afghanistan and three times to Iraq. He holds an MFA from Columbia University, and he currently teaches English at the American University in Sulaimani, Iraq. "New Me" was originally published in Epiphany magazine's war issue. 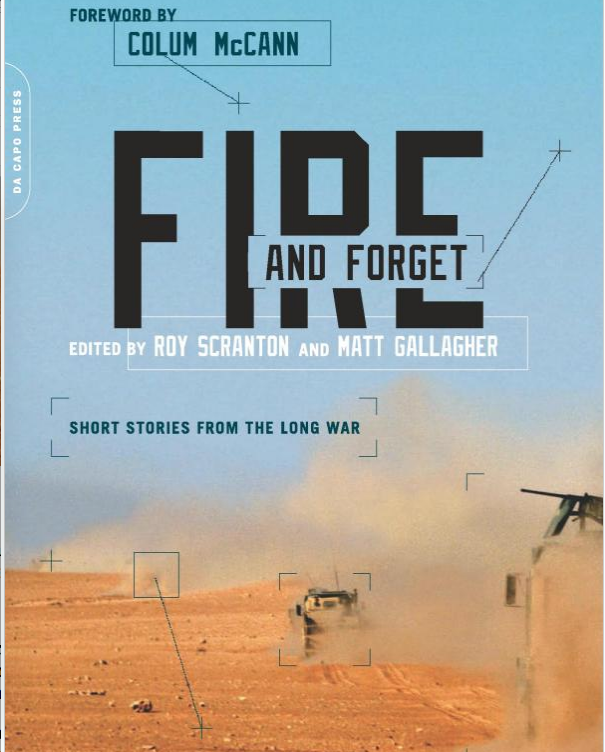 Like "Redeployment," the story is also included in Fire and Forget: Short Stories from the Long War. "Our fathers -- our coaches, our teachers, our barbers, our cooks, our gas-station attendants and UPS deliverymen and deputies and firemen and mechanics -- our fathers, so many of them, climbed onto the olive-green school buses and pressed their palms to the windows and gave us the bravest, most hopeful smiles you can imagine and vanished. Just like that." An undercurrent of violence and despair runs through the story as the boys get beaten up by bullies, beat each other up to practice their fighting skills, gut deer, and take their revenge on those they feel have wronged them. It is a brilliant, moving, deeply disturbing story about what happens -- almost inevitably, it seems -- to these boys in the absence of their fathers. The entire text of "Refresh, Refresh" is available for free online at The Paris Review. The story has also appeared in Percy's collection by the same name, in Best American Short Stories 2006, and in The Pushcart Prize XXXI (2007).